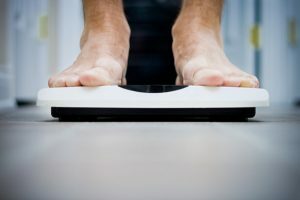 As a fitness professional, someone who struggles with compulsive overeating and a recovering exercise anorexic, I was fascinated by the TV show “The Biggest Loser”. The reality contest, which enjoyed a 17 season run, pitted obese contestants against each other to see who could loose the biggest percentage of weight in a designated time period. The episodes sucked me into the struggle of the participants to alter their appearance and their health. I stopped watching the program after a few seasons when the weight loss stories got more and more sensational. It was obvious that the methods employed on the show to put up such outrageous weight loss percentages could not be healthy. Pounds that come off that fast can never be maintained. We were obviously witnessing the results of hours of daily exercise (that could never be maintained in the real world), extreme and severe calorie restriction and potentially unsafe appetite suppressing and fat burning drugs. However, the mental picture of one of the challenges from the show has long stayed with me. At a certain point during the proceedings, when the contestants had all lost a significant amount of weight, their trainers would ask them to strap back on the equivalent of the pounds they had lost and run a mile. Having enjoyed moving and exercising in freedom from many of these pounds for several weeks, the participants struggled with the extra weight and felt the heaviness they had previously carried all the time. After the race was over, they all felt such relief to shed the extra pounds again. In the book From Clutter to Clarity: Simplifying Life from the Inside Out, author Nancy Twigg defines clutter as, “Anything that complicates your life and prevents you from living in peace as you live out your purpose”. Whew. My life is complicated. And peace can be hard to find. Simplifying may not be as easy as throwing out the trash. I think often times the things that are cluttering up our lives can masquerade as good things. Hebrews 12:1 outlines the biblical instruction for simplifying our lives. “Therefore, since we are surrounded by such a great cloud of witnesses, let us throw off everything that hinders and the sin that so easily entangles. And let us run with perseverance the race marked out for us,”. With enough time spent in scripture and prayer, we can be convicted of our sin, ask forgiveness and seek God’s help to turn from it. But what about the other stuff? The non-sin stuff that hinders. How can we pinpoint what else is getting in our way? I think the answer lies in verse 2. “fixing our eyes on Jesus, the pioneer and perfecter of faith. For the joy set before him he endured the cross, scorning its shame, and sat down at the right hand of the throne of God.” The race we are running is toward Jesus. That is the road God “marked out for us.” The “other stuff” that hinders is anything that makes our daily journey to Jesus more difficult. What is slowing me down as I run toward Him? What is blocking your vision as you look toward His face? Is it a relationship? Is it the way your spend your money? Or your time? Is it a pursuit that’s become too important? All-consuming even. The answer to that question is the secret to simplifying. What a great way to connect Hebrews 12:1. I never thought of the emphasis on spiritual decluttering in the verse. Thanks for your exhortation here!